Mustards are primarily made up of several species belonging to the genera Brassica and Sinapis wherein the small mustard seeds are normally used as a spice and condiments when grinded and mixed with vinegar, water, and other liquids. The seeds are pressed in to produce mustard oil. Mustards, especially Brassica juncea, are also grown for their greens. This annual species is commonly known as Chinese or Indian mustard and reaches a height of 6 to 24 inches (15 – 60 cm) with a spread of 12 to 24 inches (30 – 60 cm). Plants bloom in the summer with yellow flowers, and the foliage can be medium to dark green, red, or purple. Stems may be veined or white, and leaves crinkled or wrinkled. There are several commonly grown varieties of mustard: Red Giant (23 days to harvest); Tendergreen (34-40 days); Plain Leaf: Florida Broad Leaf (43-50 days); Fordhook Fancy (40 days); Southern Giant Curled (40 days); Choi Sum (60 days); Chinese Pac Choi (60 days); Chinese Flat Cabbage (40 days); Dai Gai Choy (65 days); and Green-In-Snow (45 days). The mild white mustard, scientific name Sinapis hirta, grows wild in Mediterranean Europe, the Middle East, and in North Africa; and it has spread farther by long periods of cultivation. The oriental mustard, scientific name Brassica juncea, is originally from the Himalaya foothills but is currently grown commercially in the United States, UK, Canada, and Denmark. The black mustard, Brassica nigra, is grown in the US, Chile, Argentina, and some European countries. The genus Brassica contains many commonly grown garden vegetables such as cauliflowers, Chinese Cabbage, turnips, and Brussels sproutsaside from mustards. Mustard can be grown in both full sun and partial shade. Choose a location that has a well-drained and well-worked fertile soil that is rich in organic matter. The ideal soil pH should be 5.5 to 6.8, though they can tolerate slightly alkaline pH to 7.5. Aged compost should be added to the planting beds two to three weeks before planting. 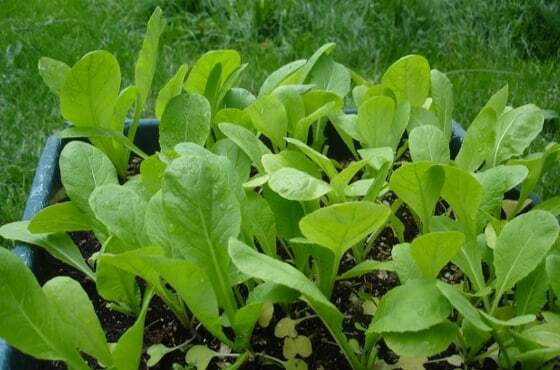 Sow seeds (up to four-years-old) four to six weeks prior to the average last frost date[http://www.gardenershq.com/First-Last-Frost-Dates-USA.php] in your area. Sow Mustard seeds ¼ to ½ inch (6 – 12 mm) deep and about 1 inch (25 mm) apart. Germination takes from 4 to 7 days at 40 to 85°F (7 to 29°C). Thin seedlings to four to 18 inches (10 – 45 cm) apart dependent upon the size of the variant, space rows at 8 inches (20 60 cm) apart. Seeds should be sown successively every two weeks. Mustard normally needs 30 to 40 days before harvest. Sow succession crops every four to six weeks. The crops should be harvested before the temperature reaches over 75°F (24°C). In mild winter regions, sow mustard in autumn or early winter, as the seeds are slow to germinate when the soil becomes too cool. 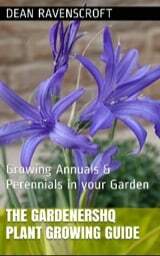 Be aware that grown in long days or hot weather will bolt and go to seed. The soil should be kept evenly moist to keep the leaves growing quickly. During midseason, sides dress the plants with aged compost. Mustards are best planted with snap and English Peas as companion plants. When carying out Mustard care it is important to always keep garden beds weed free. Growing in high temperatures and not providing enough water can cause the taste of the mustards to be too peppery. Aphids, white flies, and flea beetles can attack mustard plants. These pests can be washed away with a blast of water. Floating rows will help to prevent early season damage by pests. The plant is also susceptible to white rust. Leaves that have white rust should be removed immediately. Water the plants at the base of the stem to keep the leaves free from moisture. 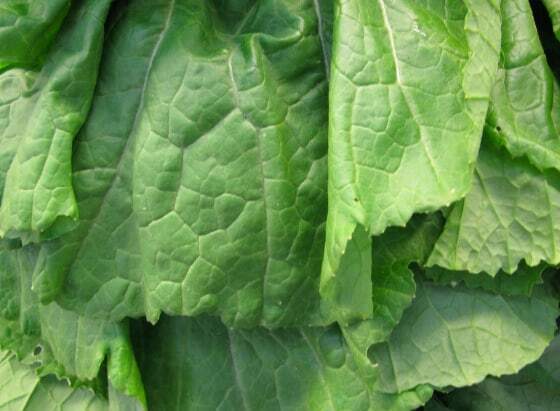 It is best to harvest mustard greens in season by picking individual leaves while they are still tender and young, at about three to four inches (7 – 10 cm) long. The entire plant can also be cut, but make sure that the harvest is done before the weather becomes too hot. This is because hot weather can cause the leaves to become tough and have a strong pepper flavor. The leaves of mustard can be dried or frozen, while the mustard seeds can be sprouted. They can be kept in the vegetable compartment of the refrigerator for two to three weeks. For the best taste use fresh mustard right after harvesting.